Synergy in its purest form is when two or more objects come together to become one, and the sum of those two objects is more amazing than when the objects were apart from each other. The Westin Riverfront Resort & Spa, Avon, Vail Valley welcomes you to Colorado with luxury accommodations, exceptional amenities, and a commitment to helping you achieve balance. You’ll find our resort at the gateway to Vail-Beaver Creek, offering direct access to skiing, golf, and many other activities. 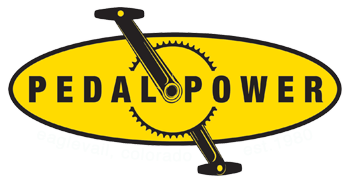 Pedal Power Bike shop has been serving cyclists in the Vail Valley for nearly 35 years. We believe that when your passion is your vocation, quality, service and expertise will follow. For nearly 40 years, Optic Nerve (formerly Mountain Shades) has been an independent leader in the sunglass industry. Countless years, months, days, and hours have been spent in the mountains of Colorado testing our products to deliver only the finest sunglasses on the market. We have worked hard to create products for consumers and programs for retailers that exceed that of our competition. It’s our top priority to foster a culture of passion and independence that we’ve been able to stand behind all these years. Middaugh Coaching has helped me tremendously with my training for triathlons. The workouts are personalized, detailed and challenging, yet achievable. Every triathlete, whether professional or beginner, will benefit from the knowledge and information you will receive from them. Middaugh Coaching the real deal in an industry full of wannabes and is the standard by which any coach should be measured. Over the course of a few months training Middaugh coaching completely prepared me to compete in my first triathlon. During these months of training Josiah's extensive knowledge and background in endurance competition provided a resource that is of immeasurable value. Including pre-race coaching, what to expect in each stage/section of a triathlon, minimizing downtime in transitions and proper nutrition. It allowed myself to go from a complete novice athlete to someone who has the confidence and preparation to compete in many more races in the near future.